Medications are pills are some of the quickest ways that we can relieve symptoms from a health condition, which is possible within the span of a day. These substances are so powerful that modern medicine in the West has revolved around the use of these for healthcare. Unfortunately, modern medicine has also paved a way for many substances to be taken and abused in ways that were not intended when they were created. Pharmacists are then trying to control these substances or are finding new ways that will limit people’s ability to use them unsafely. Let’s take for example Suboxone. 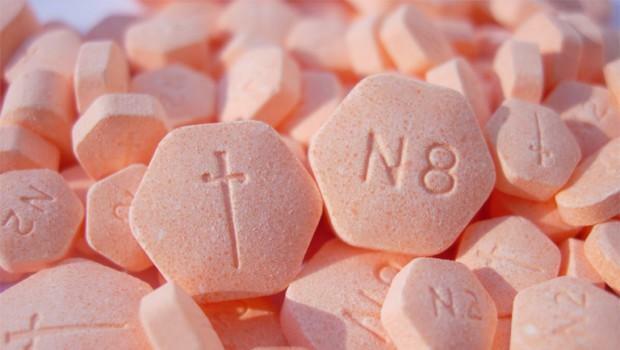 Suboxone is a drug made as a combination of two pills, namely Buprenorphine and Naloxone. The former is an opioid and the latter is a drug known as an opioid antagonist used to block off the effects of opioids during an overdose. With these two drugs together, the resulting Suboxone is used to treat opioid use disorder, which is often done in conjunction with counseling. While this drug can still exhibit the effects that are typical of opioids and can be used to fuel addiction, it has been found that taking the drug in higher doses does not result in heightening effects, so there is less of a chance to overdose on this drug compared to other opioids such as morphine and hydrocodone. However, just because the drug is less worrisome than other much heavier opioid drugs doesn’t mean that the pill itself isn’t dangerous. This pill is classified under the CSA Schedule III, which means it is a controlled substance that is being closely monitored by the FDA. There are still several people who abuse this drug by finding ways of melting, crushing or injecting the pill into their system. And that is where the strips come in. Called Suboxone Film, these strips can be administered sublingually, so they are meant to be placed underneath the tongue and dissolved there, which take all of a minute to accomplish. In general, the strips are much preferred by most over the pills since they are much faster to dissolve and have a more immediate effect. They are also much easier to carry, as they are thin, and could easily be placed into a wallet. You can also more easily cut it into smaller doses if your doctor is tapering you off. Many people who have been on either the pills or the films and are considering on making a switch to the other form of medication would wonder whether one of them is stronger than the other. It seems that whichever dose for a given form would be the same either way. However, it was found that the films have a faster onset compared to the pills since sublingual solutions can be absorbed quickly into the blood without having to pass through the liver. Aside from the strength, there are other factors that affect whether a person wants to use the strips or the pills. It seems that price-wise, the strips are more affordable, and there have been many offers given for coupons when buying the strips instead of the pills. Another thing is that the strips come in individual wrappers. For many who cannot help themselves and want to take more pills at once than they need, taking a strip is a deterrent to abusing the drug. While Suboxone is less dangerous than other medications of its kind in the long-run and the risk of overdose is much lower, there have been instances to suggest that it is easier to stop treatment using this drug due to the side effects associated. Common side effects of Suboxone include changes in bowel movement such as constipation or diarrhea, headaches, and nausea that could lead to vomiting. Aside from that, it could also cause depressed respiratory function, low blood pressure, and drowsiness, which could be dangerous in the wrong situations. When the dose of Suboxone is reduced drastically or stopped, it could result in withdrawal symptoms akin to other opioid withdrawals. You could have a sudden spike in blood pressure, flashes, agitation and anxiety, dehydration, fatigue, lack of motivation, insomnia, excessive sweating, confusion, and a skin-crawling sensation. You can still get a high from taking the strips, which is done by placing more strips under the tongue than is advised. While the drug is severely regulated, there are still many out there who are selling them illegally off the streets or on illegal online pharmacies. It is extremely important that a person take the dose that was recommended to them by their doctor, and never amp the medications as they see fit. This could result in dependence and severe withdrawal which could ruin a person’s quality of life. There are now different options that are available for a single kind of drug, and one example of this would be the strips and pills of Suboxone. This drug is a combination a drug that is part of the opioid family and another that counters the opioids, which makes it a solution for more dangerous opioid addictions. There are plenty of people who are beginning to take the strip form of the pills because of the ease of carrying them and taking them. They also have a faster onset than their pill counterparts and have been known to deter overuse. However, this does that mean that the medication should be taken lightly. Taking more of the pill can still result in physical dependence, which many dealers on the streets have taken advantage of. This drug is also known to have a variety of adverse side effects that are unpleasant. Whether your preference is the pills or the strips, it is important to listen to your doctor’s advice throughout its use. Check out our recommended list of online pharmacies here if you want to get your pills delivered to your door from a reliable store.